The Daisenbou Farmer’s Market sells local produce, snacks, souvenirs and other goods, and also has a restaurant. 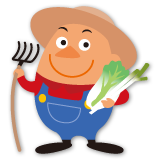 Fresh vegetables grown by local farmers on the highland plains are picked in the morning and delivered directly to Daisenbou. 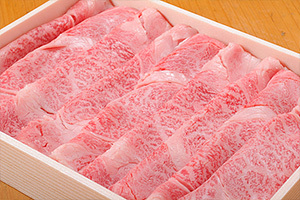 Tottori Kuroge Wagyu (Japanese Black) Beef, one of Japan’s most recognized beef brands, is also available. Daisenbou also sells beautiful seasonal postcards of Mt. Daisen. We hope you will get to know Mt. Daisen, not only for its food but also for its culture and beautiful landscape, and so become a fan of Mt. Daisen and visit us again! The Daisenbou farmer’s market is a roadside station located at the Mizoguchi Interchange Exit. 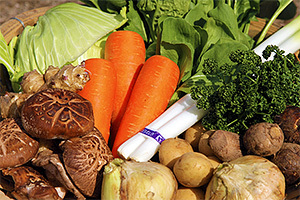 Local produce nurtured through the tender loving care of the local farmers is available here. It is a must-visit facility to learn more about the food and culture of the people living on and around Mt. Daisen. 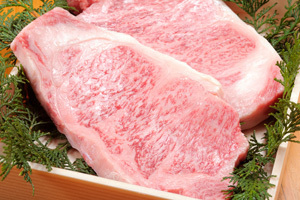 Tottori Kuroge Wagyu Beef is our most prized product. 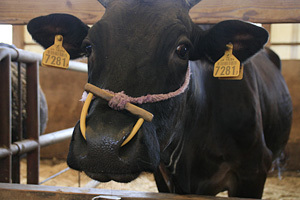 We purchase whole carcasses graded between A4 and A5 (the highest grade) from the Houki Maeda Farm, who has won Tottori’s best beef prize several times, and then distribute to visitors and high-class Japanese-style restaurants. 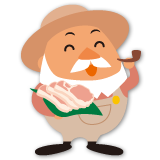 “The red meat has a rich taste, and the fat is plain. The great balance of red meat and fat provides evidence that the animal was healthy and under no stress. You can’t find this kind of beef so easily”, say the restaurants’ owners. The flavor is produced by oleic acid (Olein 55) in the beef, which makes the meat softer and melt easier in the mouth. The soil around Mt. 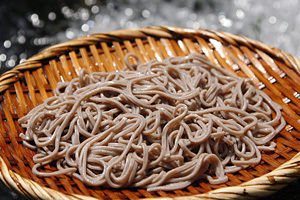 Daisen is called Kuroboku (Black Soil), which is said to contain abundant minerals good for agriculture. 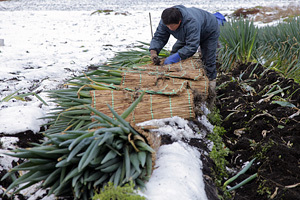 Fresh vegetables grown by local farmers on the highland plains are picked in the morning and delivered directly to Daisenbou. 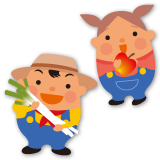 Having tasted the rich and sweet flavor of the vegetables, you will quickly see why the soil is also called “magical soil”. Daisenbou provides various souvenirs, which includes various local foods, folk crafts and artifacts. 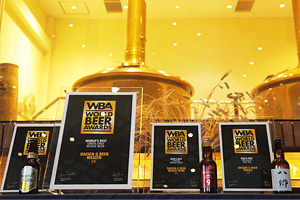 Popular souvenirs include Daisen G Beer, who’s ‘Weizen’ or Wheat Beer won the World’s Best Wheat Only Beer Award at the World Beer Awards (WBA) in 2012. 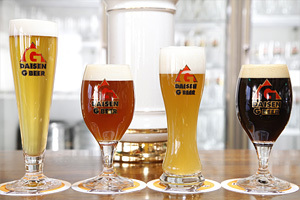 Daisen G Beer is made using subterranean water from Mt. 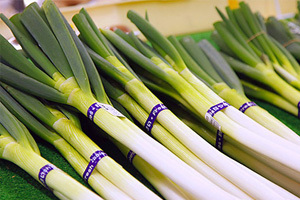 Daisen, which is semi-hard with a moderate amount of calcium and magnesium.